"Rocket Fist" is a self-published comic series written and illustrated by me! 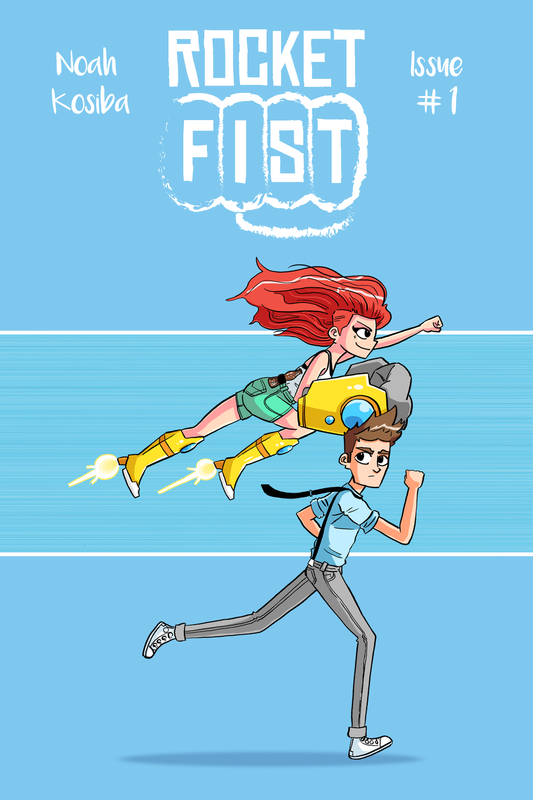 It is about a quirky, spunky girl (Gwen Gordon AKA Rocket Fist) and a sarcastic, serious detective (Ren Riley). Gwen was born without most of her limbs and invented rocket boots and a giant fist to help fight crime and make Metro City a better place. Disaster and hilarity ensues.